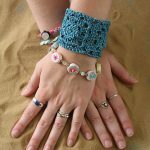 La Plage Bracelet - Free Crochet Pattern - love. life. yarn. I’ve been thinking about the beach lately. It snowed here this morning (hello, bipolar TN weather – 74 on Thursday, snow on Saturday!) and we have been planning a trip to sunny Florida this summer to see my in-laws who just moved down there. I’m dreaming of sandy beaches and beautiful weather while watching my three kiddos play in the snow. I can’t complain, though, it’s been a very mild winter and this is only the second time it’s snowed this winter. But I’m so ready for spring! The La Plage bracelet (which means “The Beach” in French) opened my eyes to the beautiful jewelry findings that are out there. 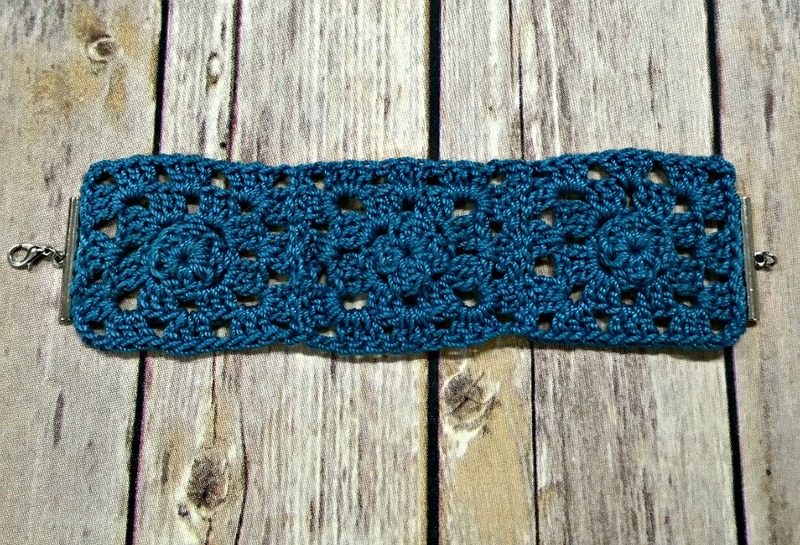 I had never designed any jewelry before but thought a granny square bracelet would be really nice. 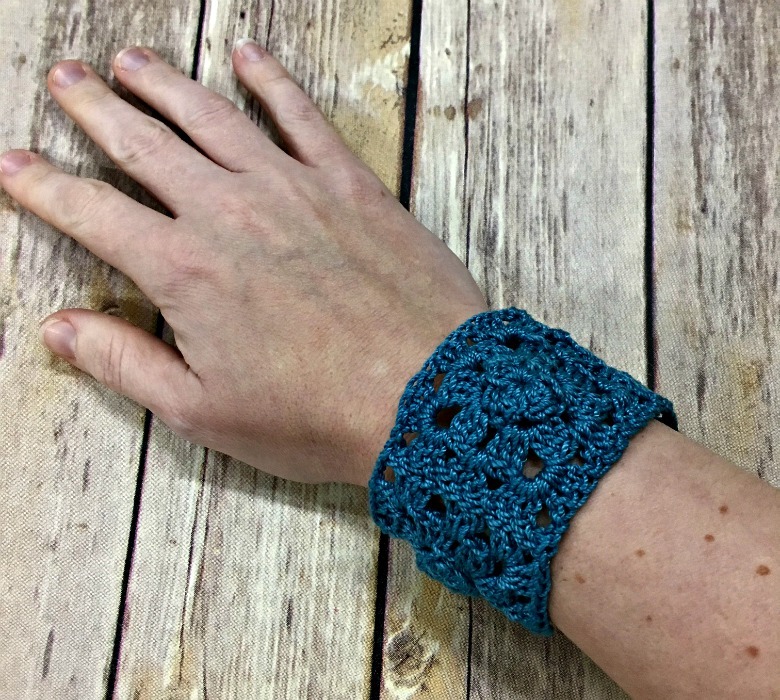 I love the Aunt Lydia’s Fashion 3 crochet thread and this Warm Teal color is my favorite, so I whipped up three flora grannies, put on a clasp – and was done! This is such a quick and easy project. I’ve designed several other crochet jewelry pieces since this inspired me so much. Now I love to just peruse the jewelry aisle at my local JoAnn and see what I find next to inspire another piece! Round 1: 4 Sc in 2nd ch from hook, join with sl st – 4 sts. Round 2: *Ch 3, dc cl, sl st in ring (one petal made); rep from * three times – 4 petals. Round 3: Sl st to dc cl center of petal, *ch 3, sl st in dc cl of next petal; rep from *three times. Round 4: Sl st to ch-3 sp, ch 3 (counts as dc), (dc 2, ch 3, dc 3) in ch-3 sp, ch 1, *(dc 3, ch 3, dc 3) in ch-3 sp, ch 1; rep from * two times, join with sl st to top of tch. 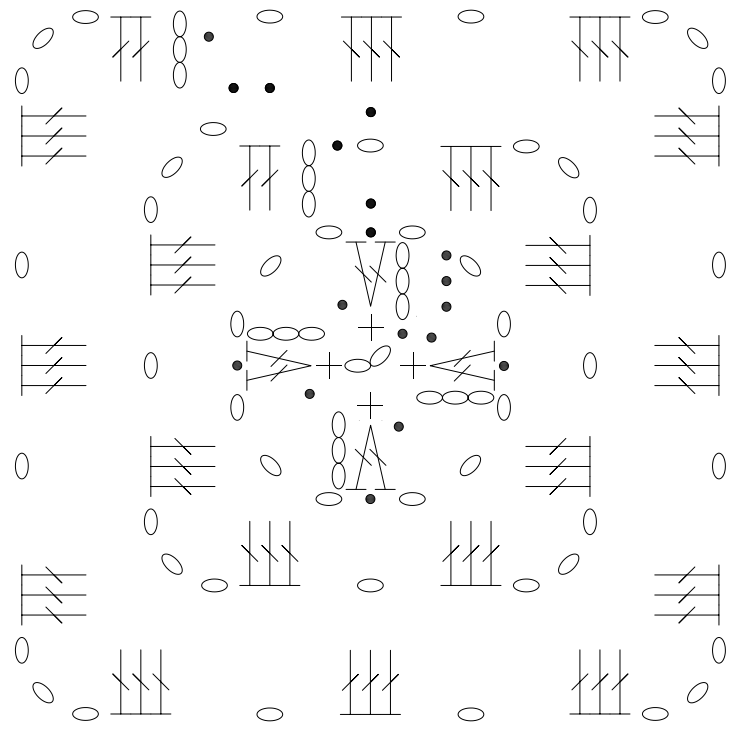 Round 5: Sl st to ch-3 sp, ch 3 (counts as dc), (dc 2, ch 3, dc 3) in ch-3 sp, ch 1, *3 dc in ch-1 sp, ch 1, (dc 3, ch 3, dc 3) in ch-3 sp, ch 1; rep from * two times, 3 dc in ch-1 sp, ch 1, join with sl st to top of tch. Weave in ends and block squares. Sew squares together along sides as shown in picture. Sew end bars to each end. Attach lobster claw using a jump ring to one end. 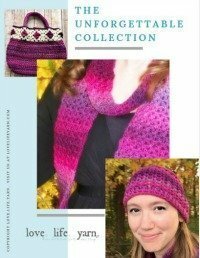 *This pattern originally appeared in the August 2016 issue of I Like Crochet magazine. Hi Amanda!!! I wanted to take this opportunity to tell you how very much I LOVE your patterns!! It’s very kind and generous of you to share them with us. I look forward to them coming and surprised by the fabulous things you share with us!!! Thank you for all you do! !